It makes me laugh whenever I hear that they're making a sequel to a film in Bollywood. I mean these filmmakers don't even understand the difference between a sequel and a companion piece. films are sequels that continue the story. another stand-alone project, but storywise has nothing to do with its predecessor. A great example of sequels is Back To The Future, where we follow Marty and Doc on their adventure through time - their characters don't change - Marty has the same girlfriend in all three movies, his parents are the same, the other characters stay the same, the only thing that changes is time. It’s also awe inspiring to see the details that went into making this trilogy. 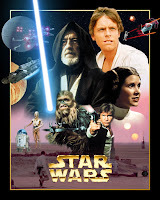 Star Wars is also a well know Trilogy where we follow Luke Skywalker and Han Solo on their adventure through space. Even in the prequel Star Wars trilogy, we are following Anakin Skywalker through the three films. The characters don't change. While a companion piece does not necessarily need to take place within the same "universe" as the predecessor, it must follow-up on specific themes and ideas introduced in the original work. It must also be intentionally meant by its creator to be viewed alongside or within the same context as the earlier work. Examples would include the Road to... pictures starring Bing Crosby, Dorothy Lamour, and Bob Hope, and films featuring the Three Stooges, the Marx Brothers, or the Tramp. That being said, in Bollywood sequels, the characters and storylines always seem to change and for this reason alone they can not be called sequels. For example, Krrish is not a sequel to Koi Mil Gaya. 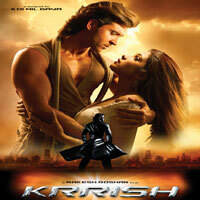 Krrish is about different character and set in a different locations with a different plot. Rohit who Koi Mil Gaya is based on, is briefly shown in Krrish. If Krrish was about Rohit's journey into becoming Krrish, it could've been called a sequel. In the Munna Bhai series, the characters and plot are different between the two films. Munna got married to Chinki at the end of the first film and yet in Lage Raho Munna Bhai he's involved with Jhanvi. Boman Irani, Jimmy Shergill and several other cast members from the previous film are playing different characters. The same holds true for Golmaal, Golmaal Returns & Golmaal 3. There is yet to be a true sequel to a film made in Bollywood. But then again they can't make something they don't understand. And sequels, as easy as it may be to say, are a very hard thing to create. Is The Censor Board Biased? Bollywood: A Briefly Timed History!